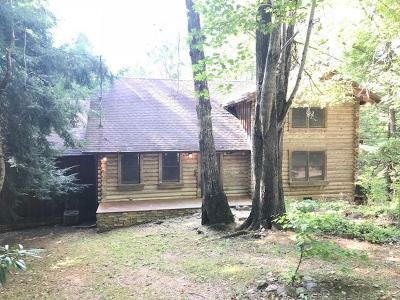 Spacious Log Home in Saddle Ridge Subdivision on 5 acres, near Great Smoky Mountains. Offers 2BDR/3BA, Living room with cathedral ceilings and cozy fireplace, island in a kitchen area 2581 Sq.Ft. large deck. Looking for secluded area you got it here! This is a Fannie Mae HomePath Property!! !